As NBC 7's Mari Payton reports, Judge Dana Sabraw ordered the U.S. government not to deport any reunited migrant families for at least a week, when he will hold another hearing to consider argument from federal prosecutors. A federal judge on Monday ordered a temporary halt to deportations of immigrant families reunited after being separated at the border, as the Trump administration races to meet a July 26 deadline for putting more than 2,500 children back in their parents' arms. U.S. District Judge Dana Sabraw imposed a delay of at least a week after a request from the American Civil Liberties Union, which cited "persistent and increasing rumors ... that mass deportations may be carried out imminently and immediately upon reunification." Justice Department attorney Scott Stewart opposed the delay but did not address the rumors in court. 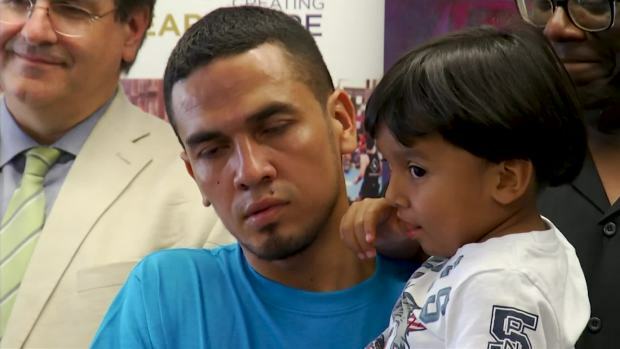 The ACLU requested that parents have at least one week to decide whether to pursue asylum in the U.S. after they are reunited with their children. The judge held off on deciding that issue until the government outlines its objections in writing by next Monday. ACLU attorney Lee Gelernt told reporters that he was "extremely pleased" by the halt and that parents need time to think over with their children and advisers whether to seek asylum. "It's hard to imagine a more profound or momentous decision," he said. The hearing in San Diego occurred as the government accelerated reunifications at eight unidentified U.S. Immigration and Customs Enforcement locations. The families are scattered around the country, the adults at immigration detention centers, the children at shelters overseen by the government. 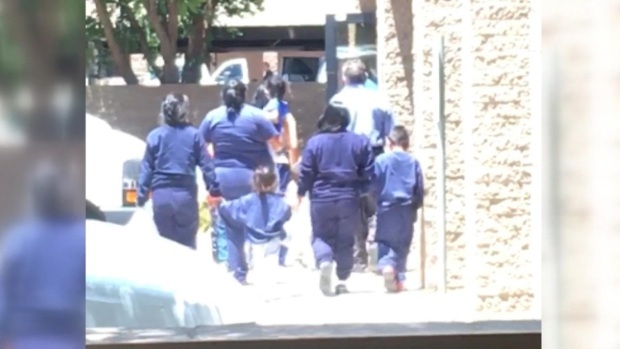 Annunciation House, a shelter in El Paso, said the government has begun transporting children in a "tremendous amount of airline flights" to El Paso and elsewhere. Director Ruben Garcia said he is preparing to take in as many as 100 reunified families a day. Late last month, Sabraw ordered the government to reunite the thousands of children and parents who were forcibly separated at the border by the Trump administration this spring. He set a deadline of July 10 for children under 5 and gave the government until July 26 to reunite 2,551 youngsters ages 5 to 17. On Monday, the judge commended the government for a revised plan submitted over the weekend to reunify the older children. The plan calls for DNA testing and other screening measures if red flags are raised during background checks. Jonathan White of the Office of Refugee Resettlement, who is overseeing the government's effort, assured the judge that some reunifications of older children already occurred, and "it is our intent to reunify children promptly." He went into detail on how the process was working. The judge praised White's testimony, saying, "What is in place is a great start to making a large number of reunifications happen very, very quickly." "I have every confidence that you are the right person to do this," he told White. It was a sharp change from Friday, when the government submitted a plan for "truncated" vetting that excluded DNA testing and other procedures used for children under 5. The government official said the abbreviated vetting was necessary to meet the court-imposed deadline but put children at significant risk. Sabraw said late Friday that he was having second thoughts about his belief that the government was acting in good faith. In a hastily arranged conference call, he told administration officials that its plan misrepresented his instructions and showed "a very grudging reluctance to do things." Sabraw said in court Monday that the initial plan was "exasperating," ''completely unhelpful," and "written in a manner that seemed wholly divorced from the context of this case." 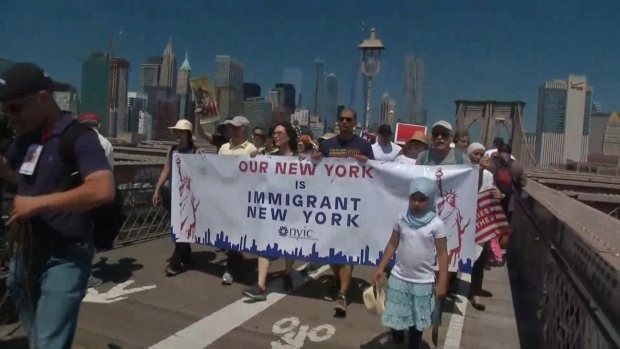 Thousands of demonstrators gathered in cities across the U.S. to protest the Trump administration's separation of families at the U.S.-Mexico border. "This is not hard stuff," he said. "It's laborious, but it's not difficult to do." Sabraw has scheduled three more hearings over the next two weeks to ensure compliance with his order. Also Monday, advocates said in federal court in Los Angeles that immigrant children in government custody are being given poor food, kept in unsanitary conditions and face insults and threats. The allegations came amid a long-running effort by attorneys to have a court-appointed monitor oversee the U.S. government's compliance with a decades-old settlement governing the treatment of immigrant children caught on the border. Attorneys interviewed immigrant parents and children in June and July about their experiences in Border Patrol facilities, family detention and a youth shelter. They described much of the testimony as "shocking and atrocious." Families described meals of frozen sandwiches and spoiled food, overflowing toilets and guards yelling at them and kicking them while they slept. 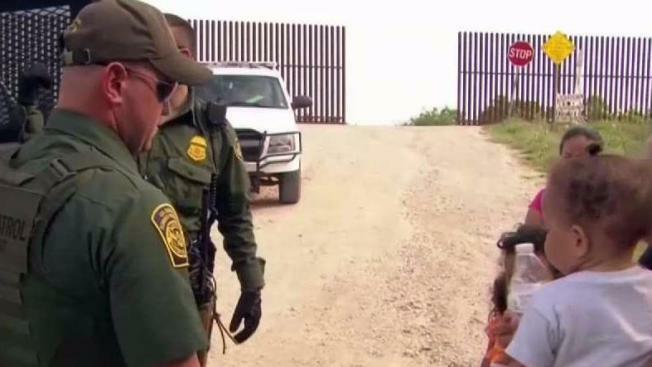 Children said they were hungry and scared when their parents were taken away. Associated Press writers Amy Taxin and Morgan Lee contributed to this report.